You must make reservations at least 5 minutes in advance of the time at W Brisbane - Three Blue Ducks. Valet parking is available within W Brisbane at a discounted price of $25 per car. Simply drop off your car at the valet service at W Brisbane. Head to Welcome to validate your ticket. Our philosophy is simple: fresh, local and delicious, infusing home-grown inspiration into every aspect – from our evolving seasonal dining menu to the endless Brisbane River views. 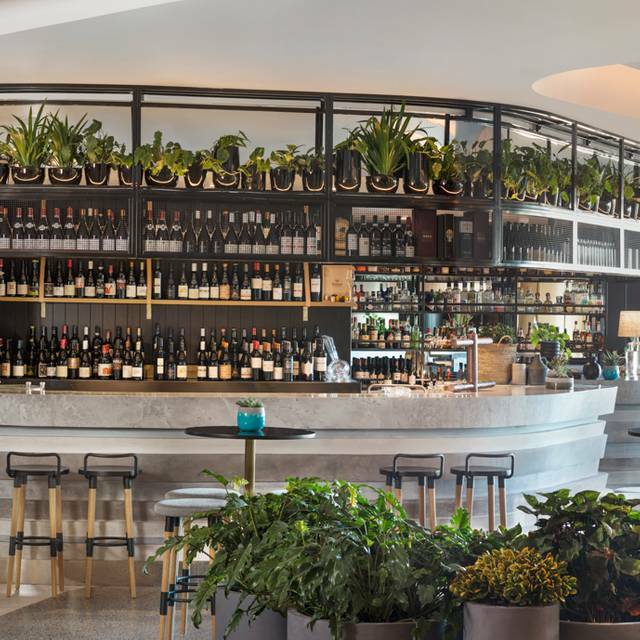 We invite you to feel at home amongst friends and family and tuck in to gourmet dishes in Brisbane, whilst immersing yourself in raw Australian beauty, earthy tones and pops of greenery in an eclectic setting with an unmistakable alfresco vibe inviting the Queensland outdoors inside. 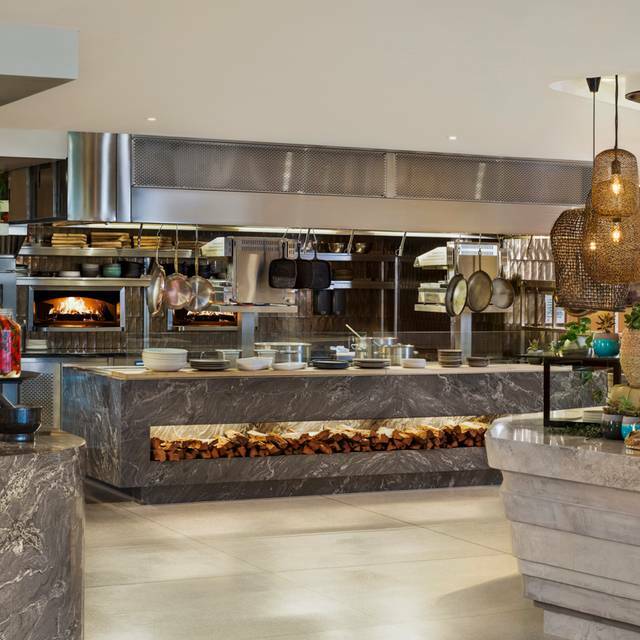 A wood fired oven and rotisserie feature to showcase the best in seasonal fresh, local and sustainable produce. We had a great experience dining at this restaurant, the decor and ambience was perfect. Our waiter Cooper was very attentive and he also offered some great suggestions for our meal and drinks. The food was amazing!! I would definitely dine here again and recommend to friends and family. Lovely food and very good service. We had the lamb shoulder to share.... Just fell apart with a great sauce and refreshing salad. And a creme brulee. Yum. Complete with dessert wine. Hi MargaretT, we are so pleased to read that you loved your experience at Three Blue Ducks Brisbane! The lamb shoulder is definitely one of our guests faves. We hope to see you dining with us again soon. The food is delicious. Quality and flavours have not been sacrificed. It is a nice venue for all occasions and the customer service was lovely. Thank you so much for the amazing review leneeysdigest! 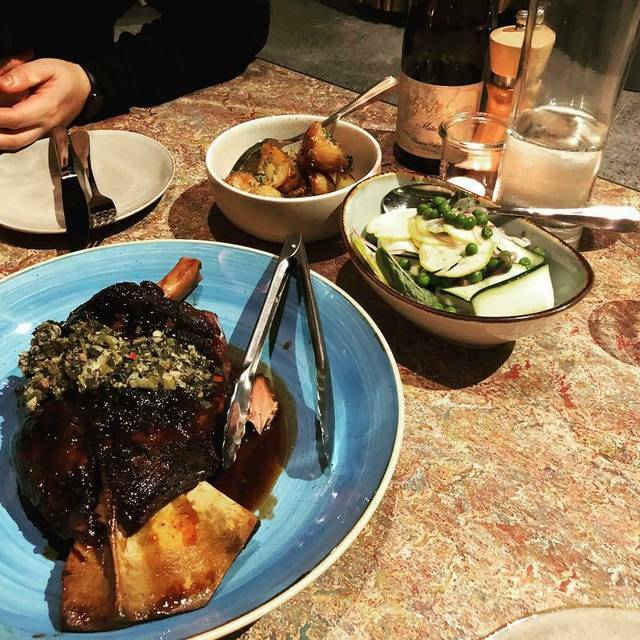 We are so glad to hear that you enjoyed our fresh and vibrant dishes at Three Blue Ducks Brisbane and the service provided by our awesome team. We hope to see you again soon to indulge in more of our delicious menu. Food was ok, but the portion sizes were too big. The roast chicken, for example, was basically a pile of meat. The bed of mashed corn has gone brown so the whole plate was brown in colour. In terms of taste, textures the other dishes we had were ok, but felt there could be some improvement to make it top notch. To be fair the ‘small plates’ were actually very good, and the bread excellent. We are pleased to read that you had an exceptional lunch and we hope you enjoyed celebrating your 40th anniversary with us. We are very sorry there was a service shortfall in regards to making this occasion extra special. Your feedback has been passed onto the team for follow-up and we would appreciate the opportunity to speak to you personally to hear more about your experience, please do reach out to us and we will arrange a time to give you a call. Great way to enjoy a leisurely Sunday lunch. The service and attention from the staff was impeccable. The food was delicious and the sides complemented the mains. The desserts servings were very generous, which allowed sharing. Thank you for taking the time to leave a review, CathyC. We are so glad to hear that you loved the delicious food and the service provided by our awesome team! The desserts on the menu are certainly a treat. We hope to welcome you back to dine with us again soon. Food was delicious, service was knowledgeable , fast and friendly. Noise level was a bit loud. Thank you for the great review following your recent visit, we’re really glad to hear that you enjoyed our big flavour dishes and knowledgeable service. Three Blue Ducks have brought their laidback setting to the CBD inviting the Queensland outdoors in, however we do appreciate your feedback regarding the noise levels which has been forwarded to the team. We hope we can welcome you back again soon! Only let down by the noise emanating from the terrace one level below. Thank you TonyF for the incredible 5-star review! 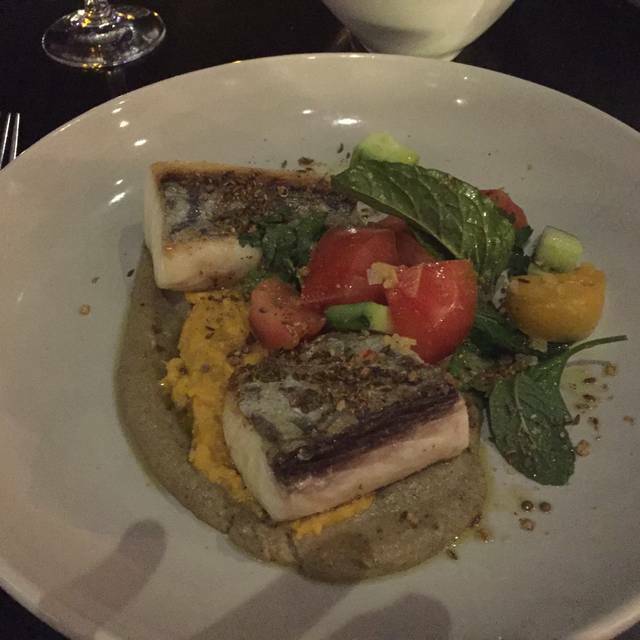 We are thrilled to hear you had an absolutely fantastic experience at Three Blue Ducks Brisbane. Apologies for the noise levels, the Brisbane Quarter precinct is a very popular dining venue which makes for a lively scene, we have passed your feedback on to our team to follow up and we only hope to welcome you back again soon. Great food, in a nice relaxed restaurant environment, although the service was very poor. Highly recommend the 500g steak and fish of the day, as they were delicious! Booked weeks in advance for a special occasion. Requested a table close to the action and close to the outdoor area, with a view. Greeted by not very friendly front of house staff, and then ushered to a table towards the back of the restaurant, next to the kitchen and smoke and amongst empty tables. Felt like I was sitting in a storeroom. Asked three times to move towards the lively part of the restaurant and to a table with a view. Eventually moved to a table as requested. Noticed that the majority of the other two seat tables next to our table were not taken all night. Waiters seemed rushed, tired and confused and on two occasions, brought out the wrong food and cocktails to our table. Might try Three Blue Ducks, Brisbane, again, just for the food when visiting Brisbane next time. Hi Georgios, thank you for taking the time to leave a review. We are glad to hear you loved our food and the relaxed vibe of the restaurant. We are very sorry to hear that the service didn’t hit the mark during your visit. Your feedback has been forwarded onto the team to follow up. We would appreciate the opportunity to speak to you personally to hear a little more about your experience, please reach out to us at and we will arrange a time to chat. It was disappointing as we had heard so much about the quality and freshness of the food. My prawns we dry and not fresh at all. It was to be served with seasonal greens but all that was included was fried kale. My husband's chicken was disappointing. His potatoes tasted old reheated. The dessert whipped buttermilk was exquisite. The service was also good and the view was lovely. Thank you for the review following your recent experience although we’re incredibly sorry to hear of the issues encountered, this is certainly not the experience we strive to deliver for our guests and your feedback has been passed on to our Chef’s. We would appreciate the opportunity to speak to you personally to hear more about your experience, please reach out to us and we will arrange a time to give you a call. We hope to speak to you soon. Amazing flavours and view. Definitely worth to try. Hi Makitasm, thanks for taking the time to leave an awesome 5-star review. 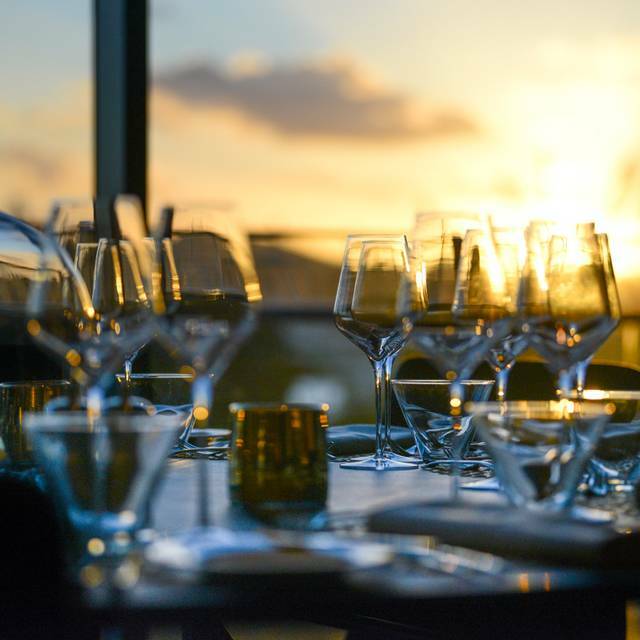 We are so glad to hear you enjoyed the vibrant flavours and the epic views of Brissy. We look forward to welcoming you back soon to try more of our delicious menu. The view is lovely, service was very attentive. The food was tasty but seriously overpriced and very limited in choice. I would also suggest a redesign of the menu which was difficult to read. Thanks Joanne for taking the time to leave a review, it’s really great to hear that you enjoyed the incredible view of the Brissy River and the service provided by our amazing team. We do appreciate your constructive feedback regarding the menu design and pricing which has been forwarded to the relevant departments for consideration, and we really hope there is an opportunity to welcome you back again. The food was lovely, the setting is spectacular unfortunately the service was well below par. Always having to try and get the waiter's attention to get another drink, top up water etc at one stage i was waving my arms to try and catch someone's eye. The service ruined what would quite likely have been a lovely evening. Very disappointing. Hopefully it was a one off and thats not their usual standard. Thanks for taking the time to leave a review although we’re very sorry to read that the service was below par, this is certainly not where we strive to be in terms of service delivery and your feedback has been forwarded to the team. We have sent you a message with our contact details as we would really appreciate the opportunity to speak to you personally about your visit, so if possible please do reach out to us and we will arrange a time to chat. Thanks again and we hope to speak to you soon. everything is amazing about this place, including the fact that there is another one in Byron Bay with a completely different ambience but same outstanding experience! Thank you Alessandro for the amazing 5-star review, we’re so thrilled to hear that you loved your dining experiences at Three Blue Ducks Brisbane and Byron! We hope we will see you again soon. Had a amazing dinner at Three Blue Ducks in Brisbane with a balcony table that had a great view of the bridges and Southbank. We share multiple mains, sides and deserts and could not fault the food. The adjacent motorway was sometime disruptive of the otherwise pleasant ambiance. Would definitely go back! 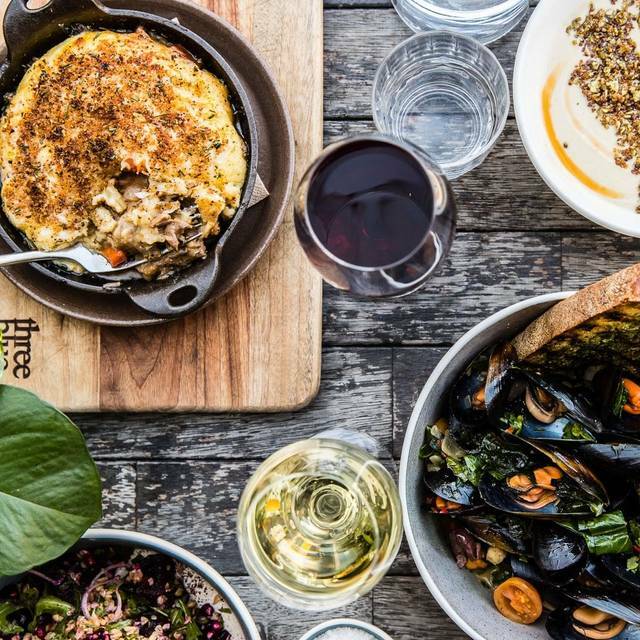 Thank you for the brilliant 5-star review of Three Blue Ducks Brisbane, we’re so thrilled to hear that you had an amazing time with us and were able to indulge in a variety of our dishes! We cannot wait to welcome you back again. Fresh, flavoursome food and attentive service. The serves are generous. we loved the buttermilk dessert. Hi Katrina and thank you for the awesome 5-star review, it’s so great to hear that you enjoyed our big flavour dishes and were able to treat yourself to one of the delicious desserts. We really appreciate you taking the time to recognise the efforts of our amazing team and we hope we will see you again soon! Thank you for taking the time to leave a review following your recent visit. We are sorry your order was delayed, we have shared this with our team and we hope we will have the opportunity to welcome you back to deliver 5-stars across the board soon. Our experience at Three Blue Ducks was excellent. Service was spot on and very informative and the lamb shoulder combined with a few sides was just devine for the three of us! Thank you Chelsea for the amazing review following your recent visit, it’s brilliant to hear that you loved the top service provided by our team and you certainly made a great menu choice in the lamb shoulder! We hope to welcome you back to indulge in more of our delicious menu soon. Food servings are large. Quality of food exceptional. Service 5 star. 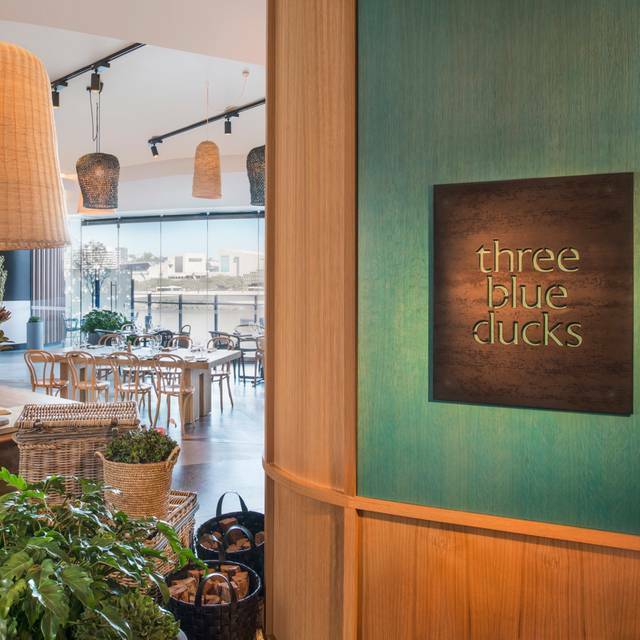 Thanks Michelle for the 5-star review of Three Blue Ducks Brisbane, it’s so great to hear that you loved the delicious food and service provided by our amazing team. We hope to see you back dining with us again soon! Really enjoyable experience - great food and good service. Hello Marnie and thanks for taking the time to leave a review, it’s so great to hear that you enjoyed the food and service at Three Blue Ducks Brisbane! We hope to see you again soon. 2nd visit here and was AMAZING! Food service everything was great. The venue is beautiful as well. Gorgeous outlook on the Brisbane river and city life. Small note nothing that we felt brought it down. But we found when one of the waiters that had a thick Asian accent read out us the special it was hard to understand him. Just coz he had a thick Asian accent. We didn’t want to make him stressed so we just laughed it off. But maybe have it written down so language barrier isn’t an issue. Thanks as always for a wonderful experience and fun dinning! Always sooooo tasty! JMcdonald thank you for the amazing 5-star review of Three Blue Ducks Brisbane, it’s so great to hear that you loved your dining experience with us once again! We hope to see you back again very soon. Excellent food. Well presented, ingredients thoughtfully put together and perfectly cooked. Lovely experience with a fantastic view and discreet surroundings. Service was very good overall, but a little hit and miss as we had to look for staff a few times to ask for fresh drinks. 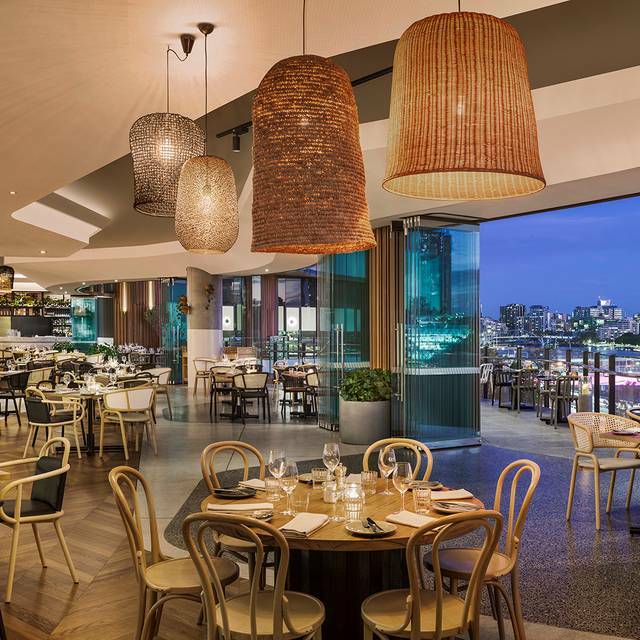 Thanks Barbara for the great review following your recent visit, we’re really glad to hear that you enjoyed our big flavour dishes and the stellar views of the Brissy River! We are very sorry though that the drinks service wasn’t flowing as it should have been and have forwarded your valuable feedback to the team. We hope to welcome you back to experience more of the tempting menu soon. We enjoyed out visit, happy that we could purchase their cookbook and really enjoying reading the stories and looking forward to using it to create beautiful dishes, hope I can do them justice. We enjoyed our meal, and especially loved the char flavour on the octopus and prawns delicious. Hi Virginia and thank you for the great review, we’re so glad to read that you loved our delicious menu. We love that you’re enjoying reading the stories of the Ducks and we are sure you will do an amazing job re-creating the dishes (do send pics!). We hope to welcome you again soon for more culinary inspiration! Thank you Bekky for the 5-star review of Three Blue Ducks Brisbane, we’re thrilled to hear that the little touches from our team could help make your partners birthday celebrations extra special and a night to remember! We hope we can welcome you back again to experience more of our stellar menu. My friend and I went to 3 blue ducks for both dinner and breakfast. Dinner was great except for the main dish where we ordered the fish of the day to share. It was deep fried which was fine but the fish was very dry, needed a sauce to pour over without much flavor. The entree (chef special - liver pate) and the side dish (roasted pumpkin) were fantastic! However, with the pate, we feel that there was not enough bread given. Had to ask for more bread to eat up all the pate. As for breakfast, service was very slow. We sat down for like 20mins and no one came to take our order. I had to walk to the front desk to ask for service. In view of the food, breakfast was a disappointment. I ordered the cream corn bowl with egg plant and the ratio was not ideal. There was way too much corn and tiny pieces of eggplant. This is not an ideal breakfast. My friend ordered the spanner crab and salmon (very tiny piece) which was pretty ordinary - not much flavor and way too expensive for the serving we got. Overall, we would definitely return for dinner but not breakfast. Thanks Asma for the review following your visit, we were so pleased that you enjoyed your dinner but of course were sorry to read the breakfast didn’t hit the same mark. We were hoping to speak to you personally but hadn’t been able to catch you as yet. We really appreciate the feedback which has been forwarded to our Chefs and our service team for follow-up. Breakfast is usually a standout fave for our guests so we really hope there is an opportunity to welcome you to showcase this to you also. I have heard about Three Blue ducks for a while and been wanting to go to Byron restaurant. It surpassed expectations. We went for my mums birthday. Not only was there a birthday card for upon seating, but birthday song and candle later also. We had the specials of swordfish and lamb rump to share. Food was amazing and everything I hoped for + more. Service was great, ambience great. Food amazing.. a little pricier than some but overall worth it. Thanks for the fantastic review Stacey, we’re so thrilled to hear that your dining experience at Three Blue Ducks Brisbane exceeded your expectations and the little touches from our team helped make your mum’s birthday celebrations more special. You definitely made some great menu choices and we cannot wait to welcome you back to indulge in more soon! Beautiful meal, spectacular view very enjoyable. Fantastic to read that you enjoyed the food and incredible river views! Thank you for taking the time to leave a review and we hope we will see you again soon. We loved the food! The service started out great, but then we seemed to be very much forgotten. You are paying premium prices for outstanding food, but with that we would expect premium service. I did have one of the best desserts I'd ever eaten, just disappointing we weren't felt valued as customers. With so many new and exciting new dining options in Brisbane - getting the service right is paramount. Thanks for taking the time to leave a review. Whilst we were pleased to read that you loved the delicious food we’re very sorry to hear that the service wasn’t where it should have been. We always strive to deliver top service across the board so we would really appreciate the opportunity to discuss your feedback a little further. We have sent you a message with our contact details, if possible please do reach out to us and we will arrange a time chat. Thanks again Zoe and we hope to speak soon. 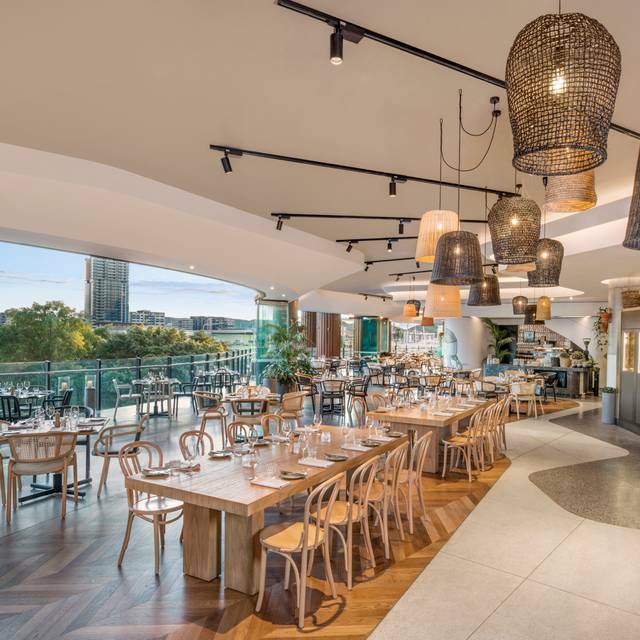 We’re so pleased to read that you enjoyed your dining experience at Three Blue Ducks Brisbane, the stellar views of the Brissy River and South Bank are certainly a treat while enjoying lunch. Thanks for the great review John and we hope to see you back dining with us again soon! Top quality produce, exquisitely prepared! Food service was good but took a while to get a drink. Lots of Gluten Free options. Thanks Deanne for the great review, we’re so thrilled to hear that you loved our vibrant and fresh dishes! Your comments regarding the drinks service have been taken on-board and forwarded to the team for follow-up, and we hope we can welcome you back to indulge in more of our menu soon. Hi Sam, thanks for taking the time to leave a review and for the opportunity to speak to you personally on your feedback. Once again we’re really sorry that the service didn’t quite hit the mark during your visit and we have taken your constructive feedback on board as we always strive to improve on the service-side. We hope we can welcome you back again to experience top service as it should have been the first time around to match the amazing food. A lovely family celebration. After a false start seated at an outdoor table which was too noisy to be heard, they kindly moved us inside. Much better. Delicious food. Highly recommend for a special occasion. Hello Anne and thanks for taking the time to leave a review, it’s so great to hear that you and your family loved your time with us! We hope we can welcome you all back again soon. Delicious food, fantastic flavours and excellent value for money. Thanks for the fantastic 5-star review of Three Blue Ducks Brisbane! So great to read that you loved your dining experience and we hope we will see you again soon. The service was really disappointing! Snobbish waiter who was condescending. It was a slow Monday night and they weren't that busy. Had to ask twice for water and ask about our wine. Mains took 45 mins to arrive after entree. Took forever for bill to get picked up so we paid at the front. Food & venue were fantastic. Thank you Rachel for the review and for the opportunity to call and speak to you personally on your feedback. We are very sorry for the service shortfalls experienced and hope we will see you back again in the near future to ensure the full experience matches the fantastic food and riverside location you enjoyed the first time round. Thank you again. Thanks for taking the time to leave a review although we’re sorry to hear that the service was not where it should have been during your visit. Please be assured that this not indicative of the amazing service our team strives to deliver and your comments have been forwarded to the team for follow-up. We would really appreciate the opportunity to discuss this further with you and we have sent you a message with our contact details. Thank you again and we hope to speak to you soon. Thanks for the great review Nat, we’re so pleased to read that you enjoyed your time with us! We look forward to welcoming you back again. Hi Brigid, thank you for taking the time to leave a review although we are very sorry to hear of the service issues that were encountered. Our team has since tried to contact you via phone to discuss your feedback a little further so if you have time please do reach out to us as we would love to speak to you personally. Thank you again Brigid and we hope to speak soon and welcome you again to ensure the service is seamless from start to finish. We loved the menu which made it very difficult to choose what to have! The cocktails were creative and the Creme Brulee was outstanding. Will be back time and time again. Thanks Elisha for the brilliant review, so great to hear that you absolutely loved our menu and that you were able to treat yourself to our delicious Crème Brulee. We can’t wait to welcome you back again soon! Hello Damien and thanks for taking the time to leave a review although we’re incredibly sorry and disappointed to read that the food and service were not at the level they should have been. Our team has since tried to contact you via phone to follow-up so if you have time please do reach out to us as we would love to chat to you personally about your feedback. Thanks again Damien and we hope to speak to you soon. I had high expectations for a special dinner out. Everything was ok but not outstanding, except the table and view which was perfect. We ordered the chilled seafood platter for two and it was nice. I would recommend ordering something else though, maybe a few of the small plates. Overall a nice night but not enough to justify the price. Hi Patsy, thank you for taking the time to leave a review and allowing our team the opportunity to follow-up with you personally last week. Once again we’re sorry to hear that your experience didn’t quite hit the mark, however we really appreciate your constructive feedback which has been taken on board. We look forward to welcoming you back again to showcase our delicious dishes and deliver 5-stars across the board.